New medications offering hope to those suffering with acute and chronic diseases make their debut on the market daily. The onslaught of new medications along with an increase in the number of middle-aged and senior persons requiring prescription drugs drive the demands for qualified pharmacy workers across the nation. According to the Department of Labor, there will be approximately 1,652 jobs for pharmacy technicians in New Hampshire by the year 2020. The projected figure represents a 17.1 percent increase from the 1,411 jobs in 2010. At the higher end, experienced and certified New Hampshire pharmacy technicians earn $15.57 per hour while new technicians can expect to earn $10.46. 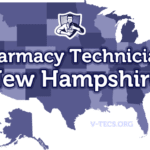 The New Hampshire Board of Pharmacy governs the practice of pharmacy within the states, outlining the training, certification, and roles and responsibilities of both Registered and Certified Pharmacy Technicians to ensure public safety. An applicant who has not completed the 80-hour training requirement can submit a letter from a supervising pharmacist with the application. The letter must indicate a date for completing the training. Registered pharmacy technicians can register as a certified pharmacy technician after completing a minimum of 600 hours of training under a licensed pharmacist and passing a nationally recognized certification exam. Pharmacy technicians bearing the “certified” status with the Board, can only perform duties as a certified pharmacy technician as long the certification is current and in good standing. The technician must notify the pharmacist in charge and the Board within 15 days of a lapse in certification. Thereafter, the Board will assign the individual a “registered” status. Registered and certified pharmacy technicians must renew their applications annually, report changes in their names and address, and perform only those duties that are in line with the Board’s regulations governing pharmacy technicians. The New Hampshire Board of Pharmacy accepts registration requests from persons 16 years and older only. All Registered and Certified Pharmacy Technicians must be high school graduates or have equivalent education. Applicants for Registered Pharmacy Technician status who are completing the requirements for high school graduation should present proof of their enrollment. The Board will accept an official letter from the institution specifying the intended date of graduation/completion of the equivalent education. High school graduates can present a copy of their diploma, transcript with graduation date, GED certificate, or college transcript with a clear high school graduation date. The New Hampshire Board of Pharmacy may conduct a criminal history check at its discretion. A criminal background check is not a mandatory part of the registration process. However, applicants are expected to process complete and truthful responses to the “Charges, Convictions, and Disciplinary Actions” segment of the application form and attest to the accuracy of all answers. Individuals with prior convictions or disciplinary actions must explain each “yes” answer on a separate sheet of paper and provide copies of legal/court documents with the application for registration. While convictions do not always lead to disqualification for registration, they can delay the process and may often require further information and an interview with a representative from the Board. Comprehensive training programs prepare students to enter the medical industry as pharmacy technicians and take the PTCB or ICPT national certification exam. Employer-based training outnumbers training at colleges, vocational schools, universities and other institutions. The New Hampshire Board of Pharmacy requires pharmacy technicians to complete 80 hours of training under a licensed pharmacy after hire. Registered Pharmacy Technicians must complete another 600 hours of training as a requirement for certificate registration. Formal institutions and pharmacist-trainers cover all aspects of pharmacy practice, including drug compounding, dosage calculations, pharmacy medical terminology, I.V. flow rates, dose conversions, reading and interpreting prescriptions, and identifying generic and brand name drugs. Students also learn the evolving role of pharmacy technicians, how to fill prescriptions, how to manage inventory, billing, and patient profiles. Requirements for hire/entry into training depends on employers and training providers. Standard requirements include a high school diploma, criminal background investigation/check. TB testing, drug screen, immunization, and a physical exam. Students must register with the Board of Pharmacy 15 days after commencing in-house training at state-licensed pharmacies. More than 80 percent of New Hampshire’s pharmacy technicians obtain their knowledge, skills and competency on the job, learning all they need under the direction of capable pharmacists. The on-the-job training has numerous benefits, which makes it an attractive option for many ne technicians. At an average rate of 3,450 for tuition plus other expenses, many students can save money while securing superior training in community and hospital pharmacies. Employers may cover tuition, textbooks, course materials, uniform, and state registration. Students work in the pharmacies full-time or part-time while they train, so it gives them a chance to earn while they learn. Pharmacy technicians work intimately with pharmacists to help facilitate the increasing demands for pharmaceutical products. With proper training, pharmacy technicians can work directly with the public and members of the pharmacy care team. National certification is the standard by which state boards and pharmacy employers make an initial judgment on pharmacy technicians’ competency. Certified Pharmacy Technicians (CPhTs) under the prescription process, body functions, pharmacy law and ethics, and they have the confidence to process medication requests efficiently and meticulously. Pharmacy technicians with “certified” registration with the Board obtain their certification after taking a national exam with the PTCB or ICPT. Both certifying agencies require applicants to be 18 years or older, possess a high school diploma, and pass a criminal background. Both agencies also have policies that members must adhere to. Applicants for ICPT certification must have formal training from an accredited training provider or 12 months of pharmacy employment. The PTCB does not currently have training requirements for members, but the requirements related to pharmacy technician training will go into effect by 2020. Two-year registration with the PTCB is $129. To begin the process, you must submit an online application and the Board will verify your credentials and authorize testing at a Pearson Vue center in New Hampshire or other convenient location. The two-hour exam contains 90 multiple choice questions that cover six primary aspects of pharmacy practice. Successful candidates will receive a certificate and can carry the CPhT designation. The fee for PTCB renewal is $40. The ICPT’s certification fee is $105. Like the PTCE, the ExCPT is a multiple-choice, 2-hour exam. However, the exam contains 110-multiple choice questions. After submitting an application to the Association, candidates can schedule a convenient time to take the exam at a LaserGrade/LSI centers of their choosing. New Hampshire law requires pharmacy technicians to register with the Licensure Unit of the Department of Health and Human Services within 30 days of beginning employment at a pharmacy or facility. 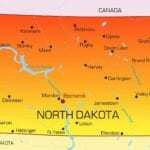 The individual must be at least 18 years of age, a high graduate or equivalent, and have no criminal or drug-related misdemeanor or felony convictions to file an application with the Department. New Hampshire’s Pharmacy technicians may register as a “Registered Pharmacy Technician” or as a “Certified Pharmacy Technician” after completing a national certification exam. The “Registered” status is granted to individuals 16 years or older, who are high school graduates, have a good moral character and completed the prerequisite 80 hours of training. Pharmacy technicians must apply for registration within fifteen days of initial hire. Secure the application form on the Board’s website and respond to all questions. Enclose the $50 application fee using a check or money order made out to Treasurer, The State of New Hampshire. Provide copies of your high school diploma or GED. Include a copy of a government issued ID and social security card. Applicants for “Certified” status should include proof of relevant certification from the PTCB, ICPT, or ASHP. A pharmacist-in-charge should complete the statement on the first page of the application if applying for certified status. Applicants for “registered” status should obtain a letter from a pharmacist-in-charge requesting time to complete the prerequisite 80 hours of training – only if they did not complete the training hours. Note: Applicants for “certified” status must complete at least 600 hours of training in addition to successfully passing a national exam. The Board will issue a registration certificate to each successful applicant. A copy of the certificate must be posted in the prescription department at the pharmacy technician’s place of employment. The approximate time for processing applications is 2 weeks. All pharmacy technician registrations expire on March 31 annually. Both the pharmacy technician and the pharmacist-in-charge must complete the Board-provided renewal form. Certified pharmacy technicians must complete the continuing education units before the renewal date. The renewal fee for each 1-year registration is $50. Pharmacy technicians must maintain accurate information with the Board, making sure to notify the department when their name or address changes. 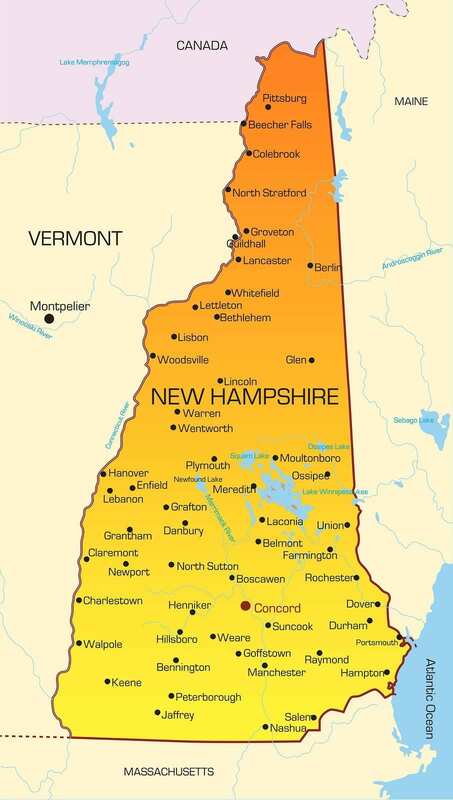 New Hampshire does not make provision for transferring out-of-state pharmacy technicians. Therefore, an individual registered in another state should obtain employment in New Hampshire and file a request for registration within 15 days of commencing employment.